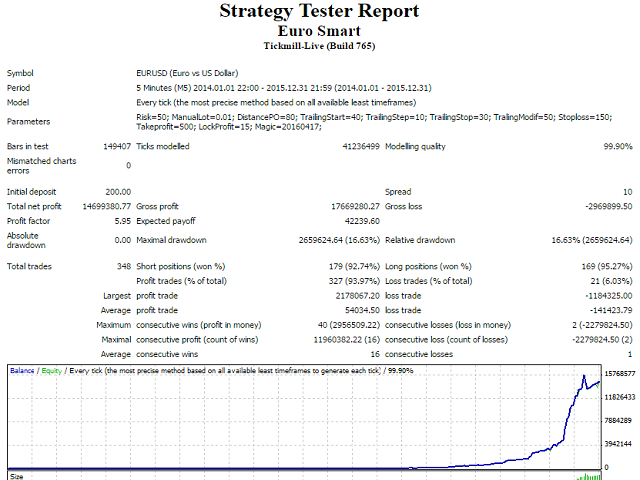 Euro Smart is a fully automated breakout EA which trades based on pending orders. This Expert Advisor is based purely on Price Action and used LockProfit, a smart code strategy allowing the EA to operate efficiently. The Expert Advisor allows you to trade a fixed lot, as well as includes the money management unit for automatic lot calculation based on the preset risk per trade. I recommend that you use an ECN account with low spread and fast execution. Risk — lot size based on the maximum risk per trade.